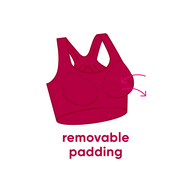 Bid goodbye to red bra marks and uncomfortable underwire. 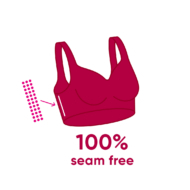 sloggi’s revolutionary ZERO Feel provides you with support without forcing your body into a shape. With over 1.75 million pieces sold in Japan in 2016 alone, this game-changing range adjusts to your shape, creating a second skin feeling. 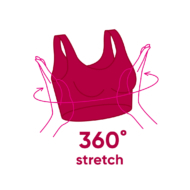 Special dot bonding technology makes it totally seam-free, while allowing 360° stretch for complete freedom of movement. 3D moulded cups give you a perfect rounded silhouette.